I love Santa Claus!!! I believe this one is the real one. He was so lovely. He would wave to all the children in line and kept patting little Abigail on the nose with his white glove saying how cute she is. We agree, of course. 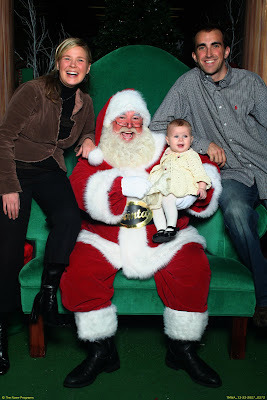 Her first visit to Santa went off without tears. Nothing scares this kid.